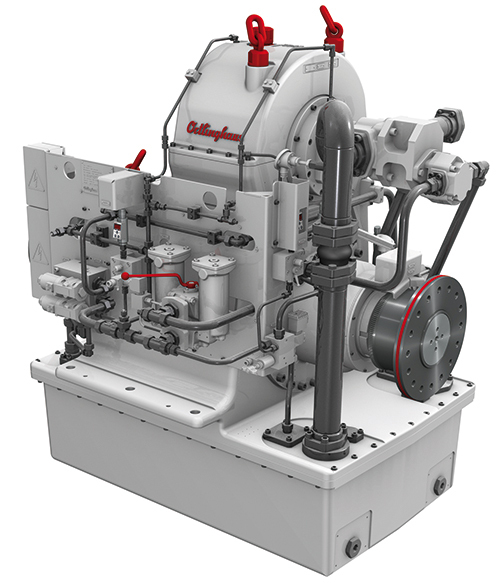 Ortlinghaus is leading specialist for the supply of clutches, brakes and plates including hydraulic power packages and control units. The Prop.act is a self-sufficient, ready-to-install clutch unit that makes it possible to steplessly vary the propeller rotation at constant engine speed and, in doing so, vary the thrust via the control lever. With the Prot.act model series, Ortlinghaus has developed a hydraulically released and spring-loaded brake with dry-running friction elements specifically developed for servomotor-driven presses. 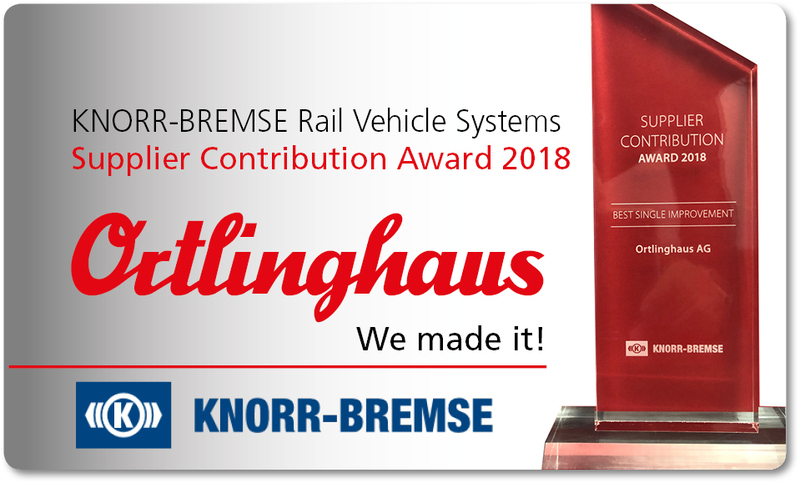 Ortlinghaus wins the "KNORR-BREMSE Rail Vehicle Systems Supplier Contribution Award 2018 " in the category "best single improvement"
14 out of approx. 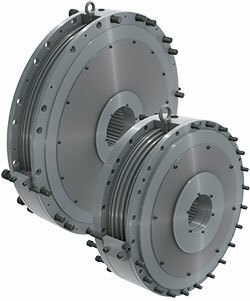 100 supplier were nominated in 4 categories and Ortlinghaus won the price in the category "best single improvement". By offering an improvement proposal to exchange sheet metal component to a plastic molding part, which meets all the requirements of Railway technology, a significant cost reduction was achieved. After the successful fair Agritechnica in Hanover, we thank our booth visitors for the nice and friendly conversations. 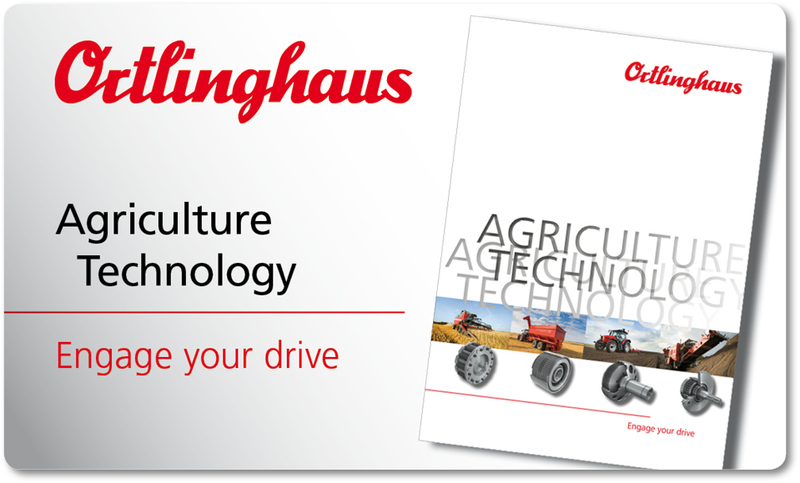 For all those who could not be on site as visitors, we offer our new agriculture technology brochure, to get to know our innovations in agriculture technology. We have set ourselves the goal of outstanding customer satisfaction through the highest degree of quality, competence, availability, reliability and friendliness. 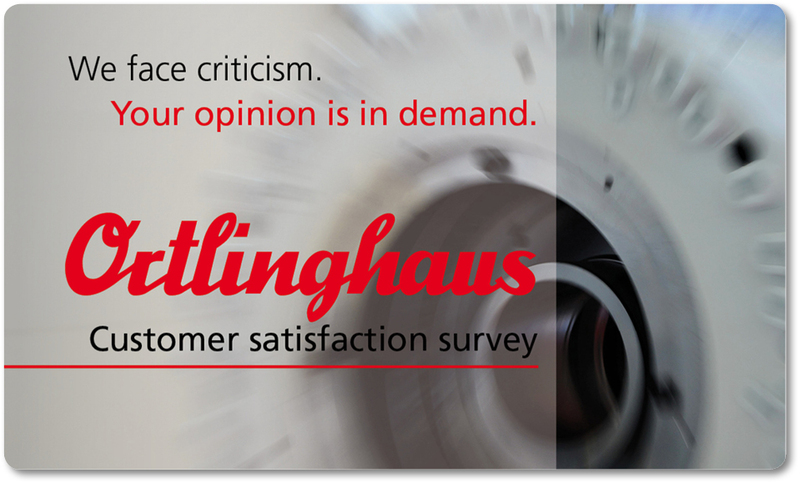 However, the degree of satisfaction cannot be determined without questioning the customers. Therefore we would be pleased about your readiness to take part in our inquiry.